"Ground Swell" by Hopper, Seascape Reproduction. 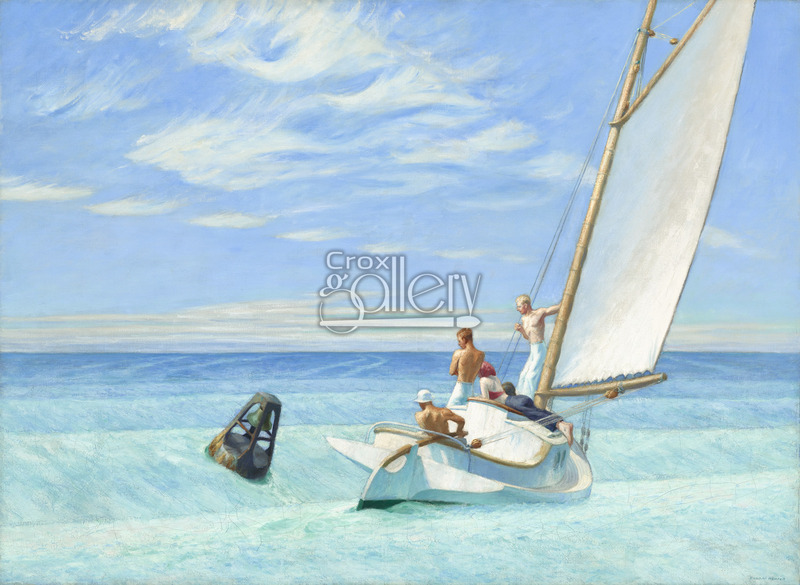 Ground Swell by Edward Hopper, shows a group of young men sailing a boat in the waves. 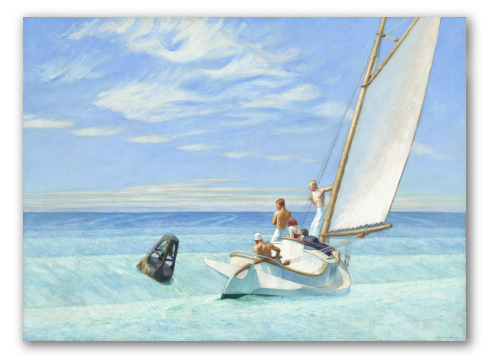 It is one of Hopper’s most recognized paintings in a classic setting.